The Montreal Institute for Genocide and Human Rights Studies says municipalities have an important part to play in drawing attention to the issue. 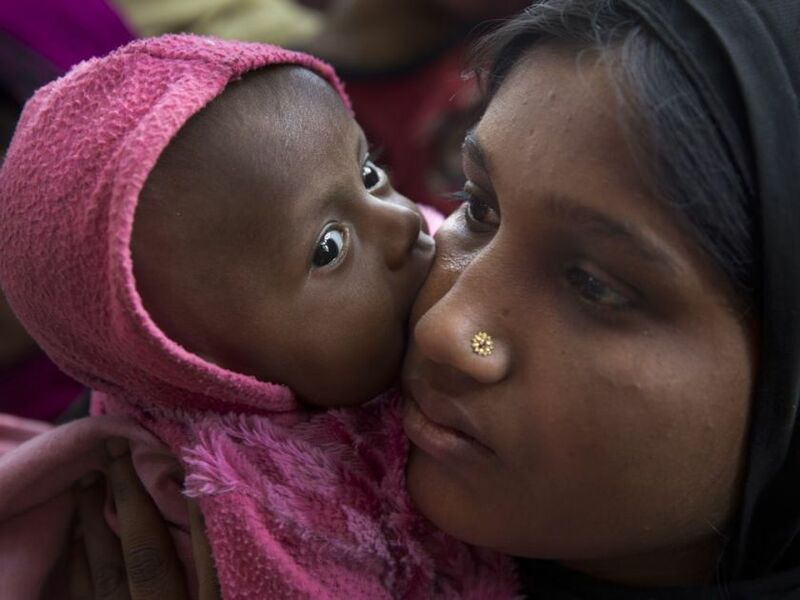 3 Apr 2019 – A municipal opposition motion will ask Montreal to join a Canada-wide campaign demanding an end to the genocide against Myanmar’s Rohingya minority. Ensemble Montréal leader Lionel Perez and opposition councillor Marvin Rotrand said they will table the motion at the next city council meeting on April 15. “While international attention has shifted to other crises, the reality is that the genocide continues in Myanmar, where more than 300,000 Rohingya continue to live in fear and where 140,000 waste away in concentration camps,” said Fareed Khan, director of advocacy and media relations at a press conference at city hall. He estimated that as many as 1.3 million Rohingya refugees are living in a vast camp in Bangladesh. However, the UN High Commissioner for Refugees has estimated the number at more than 700,000. While obviously it’s the federal government — not municipalities — that holds the levers on international issues, Khan and Kyle Matthews, executive director of the Montreal Institute for Genocide and Human Rights Studies (MIGS) at Concordia University, said municipalities have an important part to play in drawing attention to the issue. “We’re asking municipal governments, the governments that are closest to Canadians, to call on the Canadian government to live up to its international legal obligations and to take leadership on the international stage to bring justice to the Rohingya,” Khan said. A similar motion will be tabled in Toronto’s city council on April 16, the councillors said. Canada took a leadership role in denouncing the genocide against the Rohingya, but now it should take the next step by invoking the international Genocide Convention to hold Myanmar responsible for atrocities, Khan said. Perez called on the federal government to show the same generosity to the Rohingya it has demonstrated to Syrian refugees. In addition to pressing Ottawa to bring the case before the International Court of Justice, the motion asks for the release of journalists imprisoned by Myanmar, access for outside investigators and an increase in humanitarian aid to Bangladesh. The Rohingya exodus began after a brutal crackdown in 2017. Myanmar has denied accusations of genocide. However, in 2018, Canada revoked the honorary citizenship it had awarded to the country’s leader Myanmar’s leader, Aung Sun Suu Kyi.